Another Recipe from a Family Friend!! 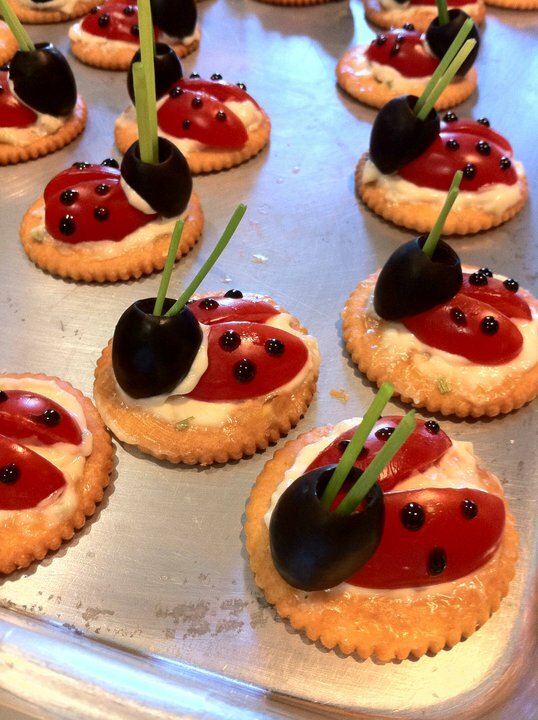 Aren't these just too Cute to eat!! 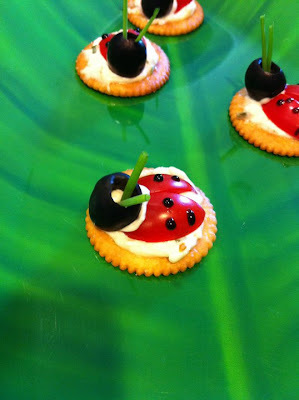 Ritz Crackers, Cream Cheese with Garlic, Romo Tomatoes, Black Olives and Chives! What a fantastic and easy treat for your guests at an summer or spring party!